The American Cancer Society’s 43rd annual Great American Smokeout was held on November 15, 2018. The Great American Smokeout is an annual event that encourages smokers to make a plan to quit smoking. A report indicates, in 2017 14 percent of U.S. adults were current cigarette smokers, the lowest prevalence recorded since monitoring began in 1965. Nonetheless, smoking remains the leading preventable cause of disease, disability, and death in the United States. Each year, an estimated 480,000 U.S. adults die from cigarette smoking and secondhand smoke exposure. Smokers can and do quit smoking: former smokers now outnumber current smokers. Among current U.S. adult smokers, nearly two out of three want to quit smoking, and approximately half made a quit attempt in the preceding year. Getting effective help through counseling and use of medications can increase the chances of quitting by as much as threefold. There are several reasons why a quit line can help you succeed when you make a quit attempt. One reason being, you can get help to stop smoking—free, with no judgment. Quitline provide free coaching—over the phone—to help you quit smoking. When you call 1-800-QUIT-NOW , you can speak confidentially with a highly trained quit coach. Quitline provide many of the services and similar support you get in a stop-smoking class or from your doctor, and can be a valuable complement to your doctor’s care. Quitline are available throughout the United States and coaching is available in several languages. Quit coaches will help create a plan that can work for you. Quit coaches are trained to help smokers quit. They understand what you are going through. Many are former smokers themselves. They are all trained to be good listeners and to give callers encouragement, support, and helpful tips. Quit coaches can help you get quit-smoking medications. Quit coaches can help you connect with quit-smoking medications through your health insurer or community programs. They may also be able to provide you with these medications for free and may also be able to send an initial two-week supply to your home. Nicotine Replacement Therapy such as the nicotine patch and gum, these medications can help you quit smoking. You can get helpful tips on how to deal with cravings and withdrawal. How to get the right kind of help from your friends and family. What websites, apps, and texting programs might help you quit. Whether to use quit-smoking medication and how to use it. And the best reason of all to use a quit line is that a Quitline is that you are more likely to stay quit! Quitlines are proven to increase your chances of quitting successfully and staying quit. A quit coach will work with you to develop a plan that is personalized for your needs. As a tobacco treatment specialist at the Meigs County Health Dept., I can help you devise a plan to quit tobacco use too. Call 740-992-6626 weekdays 9 a.m. to 4 p.m. for an appointment. 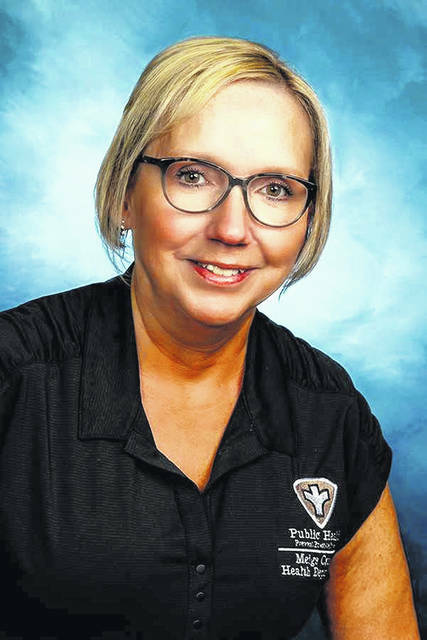 Sherry Hayman, RN, TTS, works for the Meigs County Health Department.